Reaction Engines' precooler heat exchanger successfully passed the test objectives set out in the first phase of high-temperature testing. Reaction wants to build a reusable vehicle combing the speed and power of a rocket with the efficiency of a jet engine, capable of traveling at 25 times the speed of sound and into and out of space. Instead of huge multi-stage rockets, a relatively light plane will take off from a conventional runway and reach space in a single journey without a pilot.The engine could also make possible passenger flights from London to Australia in just over four hours - and drive airliners with twice the speed of Concorde. Reaction, based in Oxfordshire, believe that the aircraft could travel the distance between NY and London in less than an hour when running at it's proposed top speed. The breakthrough test was conducted at the company's newly opened TF2 test facility at Colorado Air and Space Port. This is a significant milestone, but the SABRE engine is still just a concept. 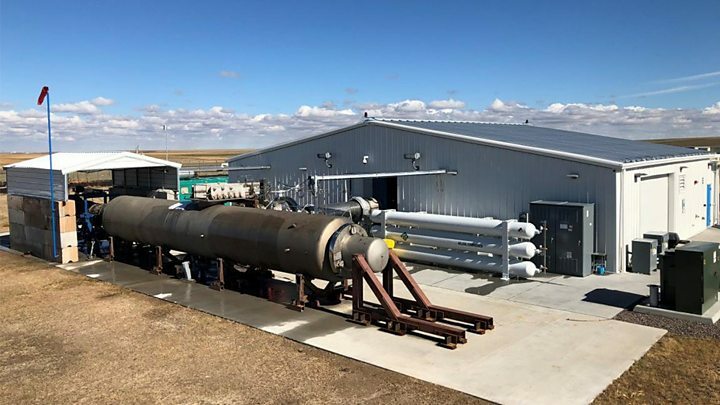 "This is a hugely significant milestone which has seen Reaction Engines' proprietary precooler technology achieve unparalleled heat transfer performance", said Mark Thomas, Reaction Engines' CEO.